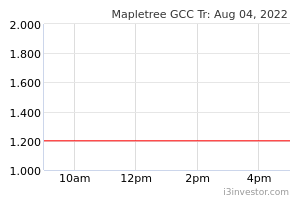 Mapletree North Asia Commercial Trust (MNACT) reported a firm set of 3QFY19 results which came in within our expectations. Gross revenue and NPI jumped 19.4% and 18.5% YoY to S$105.6m and S$84.6m, respectively. This increase was underpinned by organic growth from higher rental from its three assets in China and Hong Kong, coupled with contribution from the acquisition of its Japan portfolio on 25 May 2018. DPU grew 3.2% YoY to 1.927 S cents as the growth in NPI was partially offset by higher finance costs, management fees and an enlarged unit base. Excluding the anchor tenant renewal, FW’s retail component saw rental reversions of +12%-13%. There was a 3.4% and 1.0% YoY dip in FW’s shopper traffic and tenants’ sales in 3QFY19, respectively, due to market uncertainties and a softer residential property market. However, occupancy cost for FW remains healthy at 19.4%, stable from the previous quarter (19.5%). In terms of financial position, MNACT’s gearing ratio remained stable at 39.0%. MNACT has hedged 85% of its debt (+7 ppt QoQ), while ~82% of its estimated FY19 distributable income has been hedged into SGD. 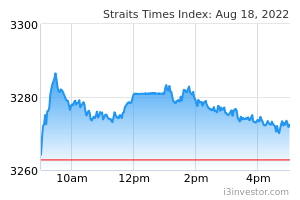 Our fair value increases slightly from S$1.34 to S$1.35 after minor adjustments. MNACT is currently trading at FY19F and FY20F distribution yield of 6.1% (as at 28 Jan close).